The deadline for the annual Convention is fast approaching. Make sure you get your reservations in! Information can be found here. On Saturday Aug 30, 2014, the PA Grotto Association will host a Dental Care Day at Meadville Medical Center. The event will run from 9 am – 1 pm. Any Grotto members willing to help with this event should arrive by 8:45 AM. We hope to see you there! 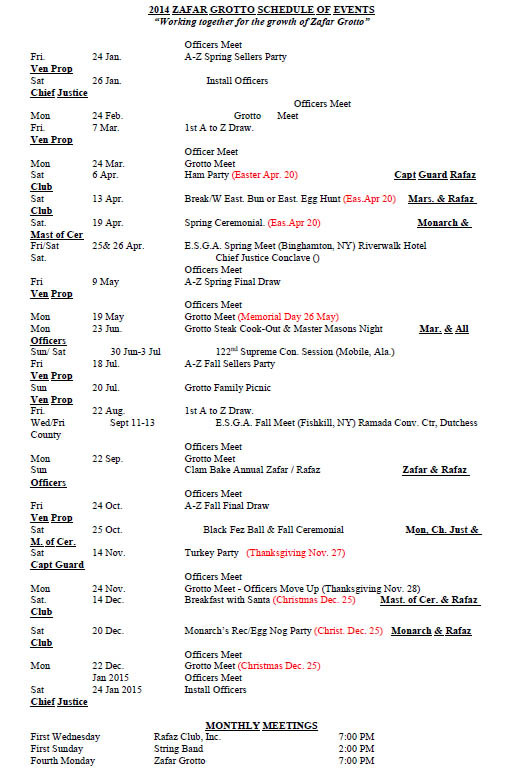 Posted in: Events. Tagged: Meetings. The Fall Meeting of the PA Grotto Association will be held on October 3 &4, 2014, in Meadville, PA. The registration form is available by clicking here. Pro. and Dr. David Shapter, a Past Monarch of Erepa Grotto in Erie, PA, and pediatric dentist by trade, has collected $2000 in donations for children in Pennsylvania who are special needs and require dental care. He will be holding an event in Meadville, Crawford County, PA in August or September to utilize these funds and help as many kids as possible, working in conjunction with the Grottos of North America and their Humanitarian Foundation. Pro. Jerry Davis, Past Monarch of Kismet Grotto in Meadville, PA, and its current Doctor of Smiles, will be assisting with the coordination and execution of this event. We thank these Prophets for their hard work and look forward to the smiles their results will bring! 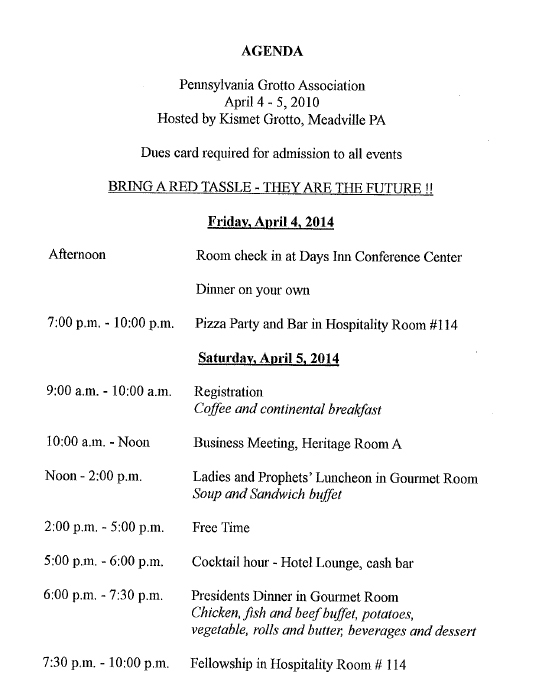 The Spring Meeting of the PA Grotto Association will be held on April 4-6, 2014, in Meadville, PA. The registration form is available by clicking here.